Do you have a warranty statement? 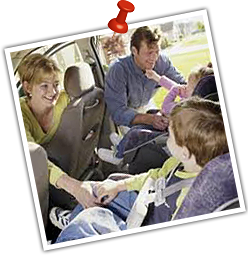 The Napa 'Peace of Mind' Nation Wide Warranty by our Napa Auto Care Status. Will you remind me or follow up with me on services needed and performed? One of the many tools we use is a Contact Service, which give us a way stay in touch through emails, texting and phone to set up future appointments, follow up after repairs and send special offers to our customers. Communication is important! Do you have ways to help save money? We follow factory recommended schedules and we also have a maintenance log so we can help you keep track of only what you needed. 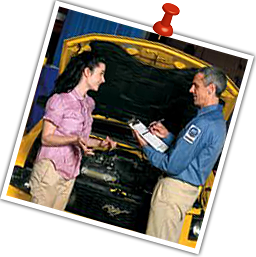 We also package services together which saves the technician time and you money. Can you take me home and pick me up when my car is done? We are happy to help by appointment or availability. What should I look for in a shop? Licensed, Insured with a warranty statement available. Cheapest isn't always the best. It costs you less to find a shop to build a relationship with that will know how you use your vehicle and can tailor repairs and maintenance packages servicing only what you need. An organized, friendly, informative, clean and professional place that shows concern for your well-being. Ask around and see what your friends think. Regulations requires a warning system to alert the driver of any emission concerns. It also may indicate that other damage has or is being done with possible performance concerns. It is important for the servicing technician to be able to scan for codes and also to pin point more specifically where the concern is being caused. There are many items in one circuit or event that can contribute to a warning light concern and we want to advise you of what needs to be replaced based on test results.